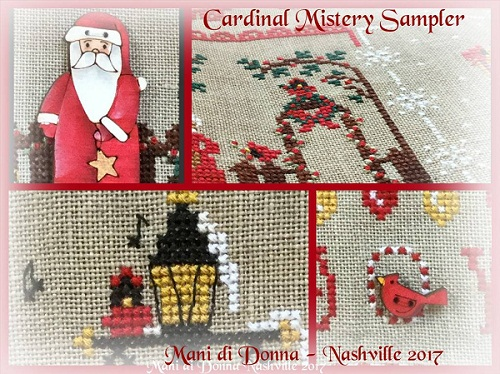 We've created a Christmas mystery sampler that will be revealed in 4 parts, one each month, beginning in March ( Nashville Show). Each design will contain a portion of the design, and a bonus design will be included with the last two portions, the bonus designs are a part of the Mistery Sampler. Inside the Sampler there are also two exclusive hand painted button and it will be possible to purchase the button pack separately . A photograph of the finished design only in the last portion! Are you ready?